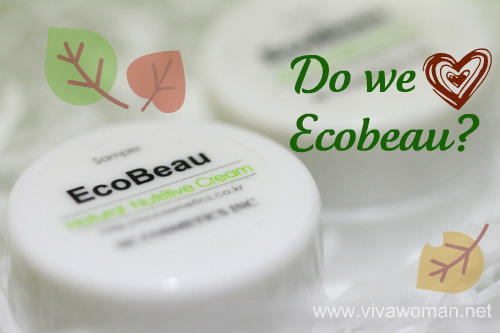 Today, I’m going to review three of the products under Ecobeau, a natural series from Korea that is said to be made from botanical extract and contains no alcohol, no preservatives and no parabens. Instead of just giving you a personal review, I have invited two readers, Chenyze and Kaiping, who received the Ecobeau travel kit, to share their views on some of the products as well. So interested to find out? Here goes the trio review! Ecobeau was created by Professor Choi from Kwangwoon University (Korea) and co-developed with University of Toledo (Ohio). The range is formulated to be free from synthetic preservatives and includes ten products, such as a cleanser, a toner, a dark spot serum, a moisturizer, a mask an eye cream and even BB creams. I understand that the Ecobeau Loess Cleanser and Loess Nutrtive Mask are their top sellers and so I’ll start off reviewing those two first. Ingredients: Loess water, LES, cocamido propyl betain. glycerin, sodium hydrogen carbonate, aloe moist, natural antiseptic (Koran pepper, moss extract, pasque-flower ), rice bran, allantoin, collagen, coenzyme Q10, natural fragrance. This is described as a natural cleanser with soft foam that gently cleanses your face. It contains minerals from loess water and loess is described in the website as “minute mineral matter that aids health by emitting infrared rays, and has excellent absorptive, purifying, and revitalizing properties”. 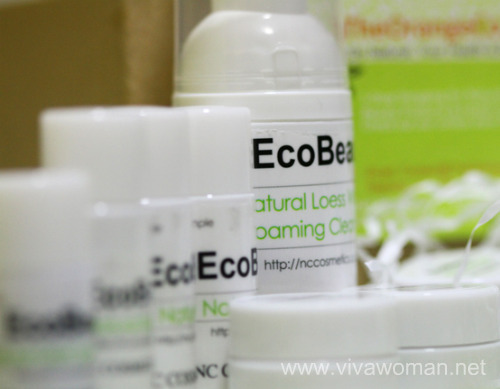 I had initially started the first few days using the EcoBeau cleanser as my sole cleanser. I love the smell of the cleanser, the fact that it’s more gentle on my skin because it’s a foam cleanser (less friction), and that about a half pump is more than enough for me to really soap up and exfoliate my face!. I tried double cleansing but I needed very very little for the second round of cleansing. It does leave my skin feeling fairly moisturized, but I noticed that my face didn’t look as bright as when I used my usualÂ True Bio Skin Care Cleanser. I changed my routine a bit, and ended up using EcoBeau for a first cleanse, following up with my True Bio Skin Care Cleanser. Â Using EcoBeau for the initial cleanse worked out wonderfully because when I go over a second time with a tiny amount of True Bio Skin Care Cleanser, I find the lathering and cleansing very smooth – evident that EcoBeau Loess Cleanser had cleansed well. When I used this cleanser for the first night, my skin started drying a little more than usual. Subsequently, little bumps appeared on my face the next night, and then I got a very bad out break now on both sides of my face. Â So I had to stop using this cleanser, after using it only for a few nights. This cleanser cleanses very well; I only need one pump and one washing in the morning. In the evening, I used two pumps to cleanse my face full of makeup but still double cleanse with another pump. My skin felt comfortable after each wash and it does not feel dry nor tight. I don’t like the scent though; it’s very pleasant but it doesn’t smell natural to me. Ingredients: Extract of herb medicine ( 9 herb medicine including dictamus ), loess powder, hydrogeneted castor oil, sodium hyaluronate, polysorbate-20, glycerin, aloe moist, jojoba oil, squalan, olive oil, sesame oil, twin-80, cetyl alcohol, natural antiseptic (Korean pepper, moss, pasque-flower ), allantoin, oatmeal, D-phantenol, rice bran, tocopherol, retinol, collagen, elastin, coenzyme Q10, albutin, natural fragrance. This is a peel off type of mask in a deep maroon color and is said to contain nine herbs including dictamus and moss. Just apply all over the face evenly and peel off after about after 20 minutes of drying. The nutritive mask didn’t work that well for me. It was very sticky so it was quite hard to apply it on evenly on face. I tend to end up with thicker patches! A major annoyance is that it’s a peel-off mask that doesn’t peel off too well! Waiting for it to set for longer periods of time didn’t help either – perhaps it’s because I didn’t manage to apply it smoothly and evenly to begin with. I really didn’t like that I’d end up tugging my skin to get off the mask. The description reads “no particle left at follicle after unmasking” but no such thing at all! I didn’t even see a slight difference or any whitehads/blackheads that came out when I peeled off the mask. For the mask, I haven’t tried it yet, partly because of the bad experience with the cleanser, and partly because the murky red colour made my urge to try drop below zero. I find the smell rather “funny” too. I usually do not like peel off mask but surprisingly, I like this one. The travel size tub was sufficient only for two usage though. I applied fairly thickly and evenly according to the instructions, waited for 20 minutes and manage to peel off the mask very easily without any pain or tugging. I did not feel like I was peeling off my skin and my skin felt rather smooth and hydrated afterwards. Nice! But again, I don’t like the scent. Other than the color, the difference between the BB Cream and BB Cream Plus seems to be the added sebum control properties in the latter, which helps to control oil secretion and maintain clean matte finishing. I hated the BB Cream Plus the first time I used it. It made my face super white that I had to actually wash it off and apply a different BB Cream instead. My skin tone is kinda fair albeit a little sallow. I was ready to throw in the towel, proclaiming that the tone doesn’t match, but for some reason, I gave it another go. I’m quite glad I did! This time I slapped on much more moisturizer beneath (you really need it to ease the application later), and used less than half the amount I would use with my normal BB cream. The colour seemed a bit more natural and it actually looked slightly dewy! I still used a bit of powder over it, but I guess I could have skipped it too. I would advice anyone trying out the BB Cream Plus to start off with very little, perhaps even a third of their normal amount! It’s also a no for people with darker skin, I guess. I tried the BB Cream too; I liked the colour, and that it can blend well to give a natural dewy look, or can be matt-up with a dust of powder over it. However, I try not to use this too often but only when I’m in a rush because I tend to get clogged pores with most BB Creams. I wanted to use the BB Creams as a spot concealer and so I used more of the BB Cream Plus because that one gave more coverage. I’ve been using it to conceal my undereye circles and some spots on my cheeks; the coverage is quite sheer but it gives a nice luminous finishing and I noticed less creasing of my foundation powder under my eyes. I believe that’s due to the oil control promised by the formulation. 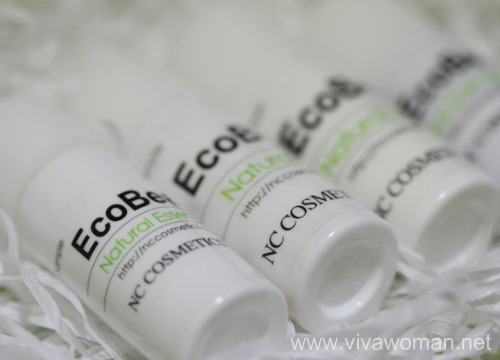 I am actually surprised that I rather like the products from the Ecobeau range. Other than the three mentioned, I’m also using the Ecobeau Eye Cream every night. It feels rich but surprisingly, it works well on my eye area and I’ve been using it for the past few weeks. I can’t say it’s getting rid of the fine lines or crow’s feet but well, at least it’s moisturizing the skin there. However, one thing I don’t like about the range is the smell. While the smell isn’t unpleasant, but it’s not something I would associate with naturally formulated products though. Other than that, I think the products may work well for some skin types but apparently not all, like in the case of Kaiping. So those with sensitive skin need to try with caution. I wouldn’t really say the products are completely natural but at least, they’re free of alcohol, synthetic preservatives, parabens, sulfates, paraffin wax, petroleum, mineral oils and artificial colorants. So yes, the ingredients are agreeable to me as a whole and they are something I would use on my face. 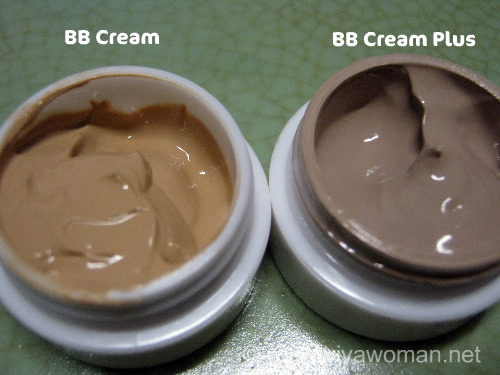 In fact, I like their BB Creams as they probably have the shortest ingredient list around. And may I add that their prices are quite affordable, especially with their current promotional pricing. So if you into Korean products and want to try something more natural, you may like to check them out at their website. Great reviews especially for those who are still not familiar with eco products. Often times, we tend to think that because they are gentle, they are not as effective. I bought the sample kit not too long ago. Have tried everything so far, except the mask and bb creams. Hmmmm… the products do help a lot in keeping my face oil-free. However, I am getting more and more bumps over my skin. So, I think I’ll stop using their toner and lotion even though they weren’t too bad. I guess the products don’t work for everyone. I have no issues with the BB cream for example but one reader also said she developed small bumps after using it. However, I’ll monitor for a while longer and see if it’s something else that’s causing my skin to become clogged. Or it could even be all the dirt and oil from my skin rising to the surface since I’m starting to use masks for controlling oil, again. Yeah, got to do with trial and error. I was breaking out a bit and also had to do some trial and error to determine the cause. 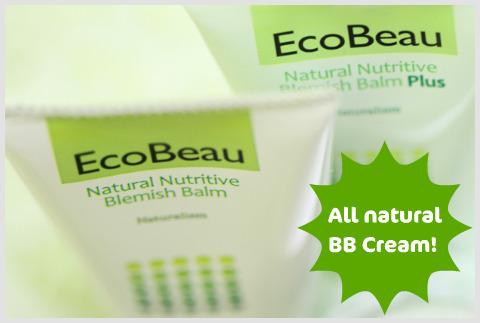 I’m interested with Ecobeau BB because I’ve been longing an all-natural BB Cream. I mean, it’s not 100% but I can settle with 90%-ish! I’m olive. Normally around NC25-30. But I just got a bad sunburned and my skin darkened. It’ll get back to its original color soon tho. Do you think I should get the Natural or Plus? I only need very subtle coverage that gives glow and hide some dark-cricles and red colours around my nose. The ingredients are not all natural but looks better than most BB cream I’ve come across. The coverage for Plus is really better. It looks grey but on application, lightens your skin color a lot. If possible, try to get the samples first to try. Yes I’m aware of that. It’s not completely natural/organic but the ingredients list looks much much better than the others. Does the coverage on Plus really look like you’re wearing foundation. Because that’s what I would want to avoid. How about the Natural one? I’ve read one review that it looks orange and made the face much darker. Is it true? Yes, I’ve also read your post on that. But what do you mean by “looks normal..”? And why didn’t you like it? I think I tend to lean on the Normal one concerning the coverage. But I’m still in doubt on which I should get. Or can I get away with using very, very little amount of cream? Normal as in the coverage wasn’t great. Seems like a thin layer of foundation to me. But note I never wore it for long so can’t tell if it’ll change color like what you’ve read. Maybe you can write to the company to ask. They might oblige with samples at a lower price. Ah, ParisB of mywomenstuff has about the same skin tone as me. Hope the Plus one will work nicely for you. Oh. And good news. Although my purchase did not exceed $60, they’re still giving me a sample each for the Natural and Plus. Yay! The company is really very nice…I hope you’ll like the products. Well, “not great” coverage is fine with me. I only have slight problems with dark circles, and some redness around the nose, and some whiteheads. And perhaps oily face. Other than that, I’m good. I don’t even wear powder on daily basis. And I wear the thinnest layer of foundation for special occasions, because I want glow. I love the Ecobeau Plus BB Cream!!! I finally stole back the sample size I gave my mom because I don’t want to open the full-sized tube just yet. Heheh. Wow, I can’t sing enough praises for it! I’m sooo glad I read your post and decided to place an order for the Plus. It spreads nicely, and cover my flaws beautifully, and feels like my skin only much prettier. My face is not so flawed but not porcelain either, but now I know how it feels to have one! Thank you for reviewing! Keep posting! I love your blog. I’m glad it’s working out nicely for you. I use the sample quite a bit too…I avoid using daily cos it’s not too natural but so far, it’s okay for my skin. I actually can go out just with it, and perhaps a slight dust of powder. I mean not natural in terms of ingredients…the color seems a bit off at first but after blending, looks rather nice. 🙂 I actually like it very much. Wish the ingredients are more natural. Oh. THAT. Yeah that’s also my concern. If only they can lean further towards “natural” it can’t be any more perfect for me. I have done some cross-checking, though, with cosmeticdatabase.com. I checked each ingredient that did not seem to be natural, because they haven’t the product on their list. Most of them scored 0-2 (safe), but there were still about 2-3 ingredients that scored above 4 (10 being the worst). And my verdict, the product overall would probably score around 3-4. Probably. That was rough counting, though. By the way, I should rectify my statement about Missha Complete Real Signature. I didn’t check on my face some few hours after application. It was really nice on application, but it sucked big time after an hour or two. Yuck. Bad news. I posted the product on Skin Deep (cosmeticdatabase.com) to get the product report and it scored 8!! There were 8 ingredients that scored above 2.
the ‘Fragrance’ obviously scored 8, probably that’s part of my mistake for forgetting to input the information as ‘Natural’. ‘Tocopheryl Acetate’ scored 4, but it has actually widely used as preservative. Also, if you read more of the report, you’ll find that some ingredients listed as pretty-harmful is based on either limited evidence or high-doses study (so the low-doses effect is unknown), and whether they’re persistent or bioaccumulative). One thing for consideration, this product is not suspected to have any risk for cancer, so that’s pretty good. But we still have to remain wary. The report has not been verified by EWG, though. Perhaps they can get in touch with EcoBeau and get full details regarding the product. I’m also writing to the The Orange Co. representative regarding this. What a shame I’m really in love with this product. PS: Can you tell me which product you were referring? Thanks! Very hard…I generally avoid Korean products for this reason. Even when they claim to be natural, their products have this fragrance all the time! The product I wrote about is from Beauty Credit. I posted it on my Facebook page. I’ve written to The Orange Co. representative and she responded that she will inform and forward my e-mail and the link to Prof. Choi. I sure hope I’ll hear some good news in the future.